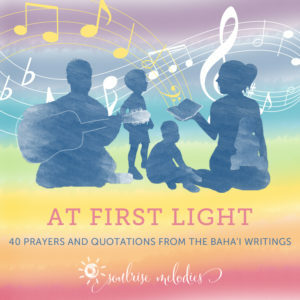 “At First Light” is comprised of 20 short quotations revealed by Baha’u’llah plus 20 Baha’i prayers. 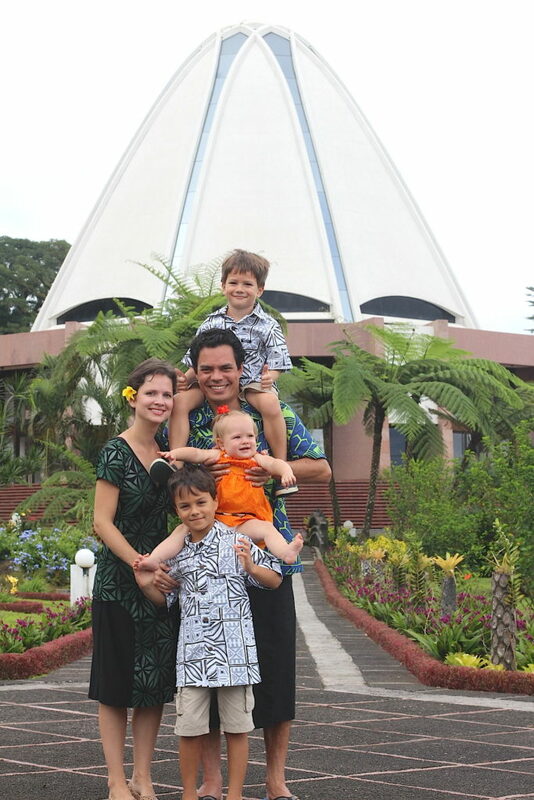 The CDs were originally created as a resource for families with young children to recite the Writings of Baha’u’llah every morn and eve, but the music can be enjoyed by all ages. The quotations are centered around spiritual qualities. They are short (once sentence each) and repeated several times, each track averaging one minute, perfect for young children. The prayers are a bit longer, songs two to three minutes each. This album is available in both digital and printed format via https://store.cdbaby.com/cd/soulrisemelodies3. 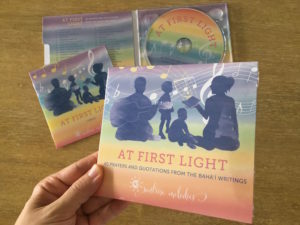 The new “At First Light” album has the prayers and quotations in alternating order, so that a set (prayer + quotation) can potentially be memorized each Baha’i month, plus there is a 20th set for the period of Ayyam-i-Ha. The instrumental tracks for all 20 songs can be used for sing-alongs and to aid in memorization. These are available in MP3 format only via this page.